Sal was born in Albuquerque, NM while his father was touring with his band. He subsequently spent his first five years on this earth on the road. Eventually settling down in San Antonio, TX he grew up with a great appreciation for music. First picking up a guitar in high school he learned playing through Metallica and Nirvana songs. He also began going to acting competitions and was a huge part of his schools theatre productions. Although always dabbling in Martial Arts from a very young age (being inspired by Luke Skywalker in Return of the Jedi) when he was about sixteen he began to seriously learn Ninjutsu. Training in ukemi and intonjutsu was the background of what would become his fascination with climbing buildings and jumping over obstacles which would eventually be called Parkour. After high school Sal moved out to LA to pursue his dream of being in Movies and starting a band. He did extra work for a few years and formed a Metal band which took off pretty quick. With the music in motion the acting took a backseat for a while and his band CHUNK played everywhere from Chain Reaction to The Roxy. Although the band eventually broke up their three year run was very influential in helping Sal realize how much music meant to him. After the breakup of CHUNK Sal’s only creative outlet was a solo project he created called The Helix of my Life. 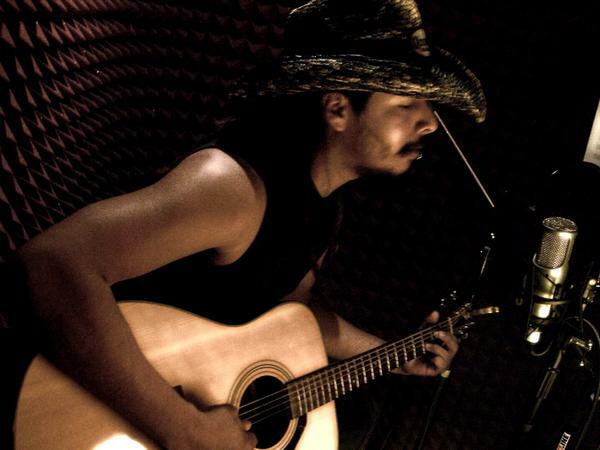 Playing acoustic was a great way for Sal to work on his voice in a different way and reach an audience with a different atmosphere. Everything would come full circle in 2007 when after not being in the movie industry for years he would be back on set for a film called Wasteland. Eventually along with Sean Gordon they were hired to score their first movie. Since then Sal has been scoring movies while still creating solo music.